When it comes to waterfowl regulations and meeting performance requirements, this 12 gauge load offers a pleasant harmony between meeting all performance and regulatory requirements, and still giving a reasonable price point. The load offered ticks all the check boxes on a dedicated duck hunter’s needs list. 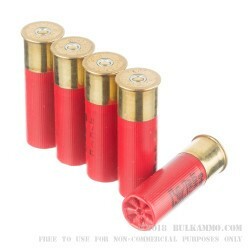 It is a 3” Magnum, with a very nice steel based payload that easily compensates for the lack of lead in the load. A #3 shot gives back to the steel pellets, some of the flight and impact performance that is lost by the lighter weight pellet configuration relative to lead. In normal conditions this load would compete with a lead-based #4 or a #5 with regards to flight pattern degradation, and the heavier (#3) shot size will impact significantly, just as you would expect from a #4 lead pellet or similar. 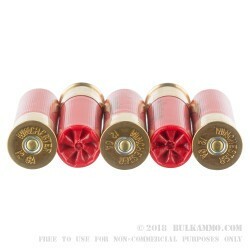 The extra payload in the controlled flight cup (in this case 1 ¼ ounces) provides more than enough pattern density and flight distance to ensure you have what you need to knock down birds past where your other steel shotgun loads will get you. The high base and well-made hull ensure easy cycling and consistency in the ignition and extraction phases of the hunt. 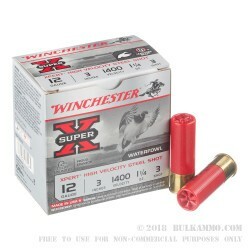 Rounding out the load is the excellent history, reliability and prowess that comes with the Super-X line and the Winchester name. 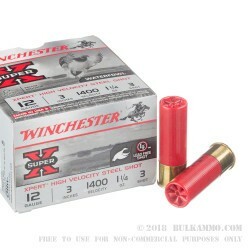 This is a load you can have confidence in, as it has been performing in the field for longer than many shooters have even been alive.